Happy Friday, dear readers! I hope your week has been great, but even more importantly, I hope you have something fun planned for the weekend! Between starting off this week on a family vacation, traveling home, and then jumping right back into work, this week has felt particularly long for me. I'm looking forward to some down time to just relax! I have a lot that I need to get done so I'm not exactly sure when that is going to happen, but taking care of myself is definitely high on my list of priorities this weekend. Something I always find relaxing in playing with makeup, and I got a head start with this post! Jesse's Girl Cosmetics is always sure to deliver with trendy, high-quality products at an affordable price. Whether your beauty budget is unlimited (and if that's the case, can you please adopt me?) or if you just want to make your budget further, Jesse's Girl is a fabulous brand that can suit the needs of any fashionista! 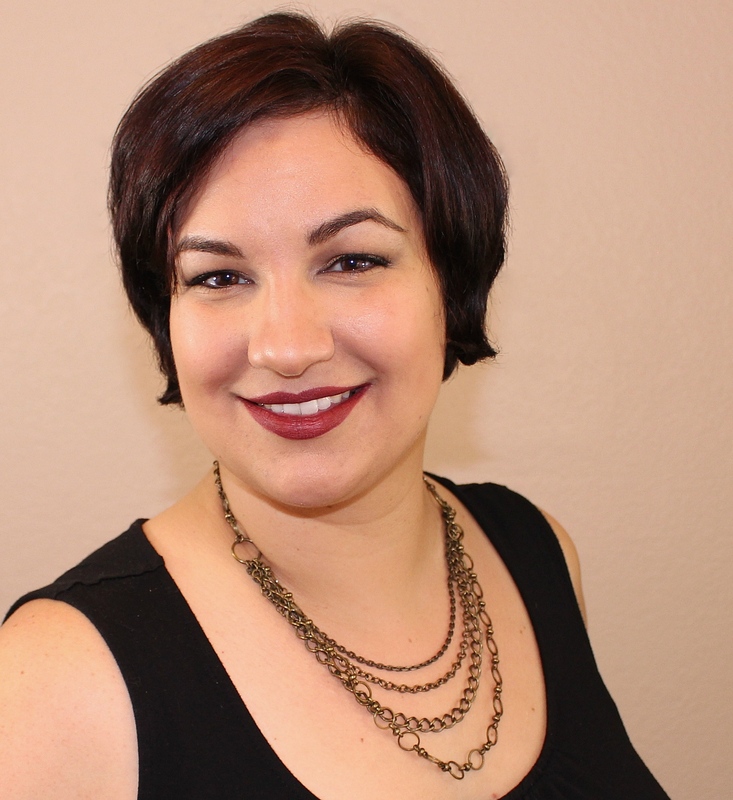 For today's blog post, I have two lip lines to share with you. Let's jump in and check them out! 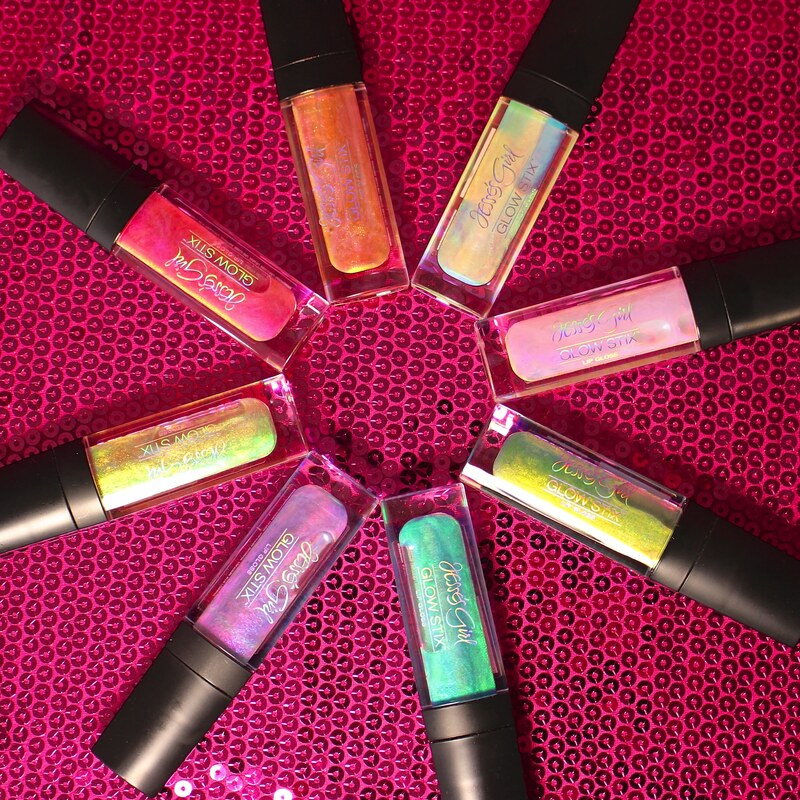 Jesse's Girl had previously released their show-stopping GlowStix holographic lip glosses, and because it was so popular, the brand decided to add six new colours to the mix AND change the packaging of this awesome product. 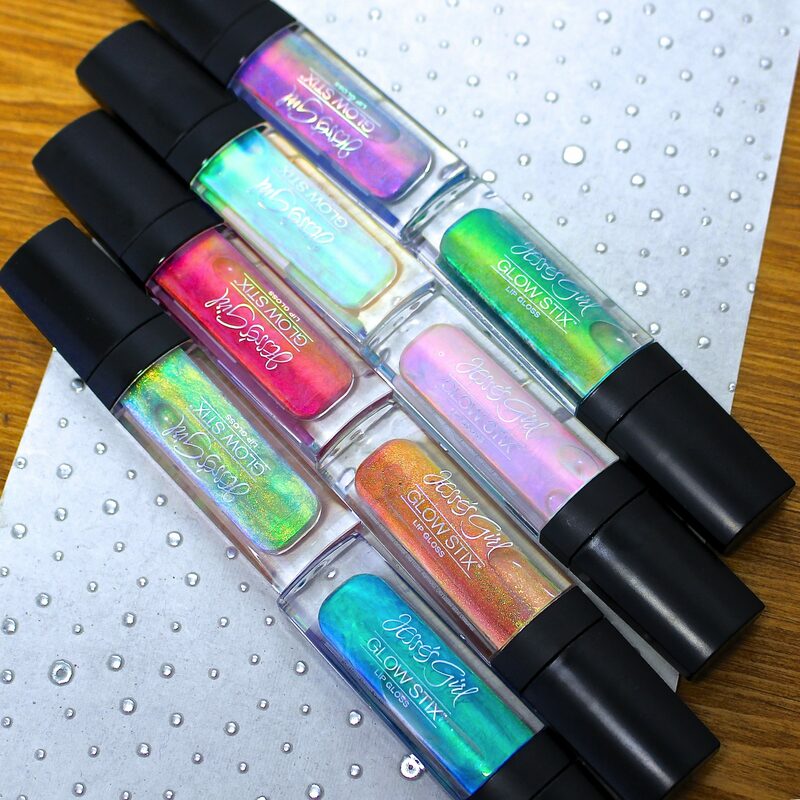 These glosses use Jesse's Girl "liquid crystal technology" in combination with holographic effects for a product that is both stunning inside the packaging and on the lips. Speaking of packaging, the new look allows more than TWICE the previous volume of product allotted with the original packaging, so you get more bang for your buck! While the tubes do look intensely pigmented, these glosses are not *that* intense on the lips. Whether you want to sport a fashion-forward but subtle shifty lip by wearing these on their own or you want to amp up the drama of a base lip color, the GlowStix lip colors are definitely worth picking up and incorporating into your makeup routine! They apply easily with a doe-foot applicator and leaving your lips with a smooth and comfortable finish. I am happy to report the GlowStix do NOT had the dreaded sticky feeling! At just $9.95 each, it is easy to see how several of these can end up in your makeup drawer! Nova (NEW): Cotton candy pink with a purple/blue flash. The deepest in color of the group. Red Dawn (ORIGINAL SHADE): A stunning iridescent, holographic orange with red shift. Astrid (NEW): Crushed golden crystals with a glowing creamsicle finish. Oranges and yellows combine for the perfect subtle finish. Titania (NEW): Warm tone- Fire coral color finish with accents of yellow and orange. Aurora (NEW): Electric teal with a holographic glow of purples, indigo and greens. Cassiopeia (NEW): Amazing combo of orange and green with more intensity on the holographic effect. Pandora (NEW): Crushed crystals in warm gold with lime green and electric yellow finish. Wicked (ORIGINAL SHADE): Amazing luminous, holographic green with blue shift. 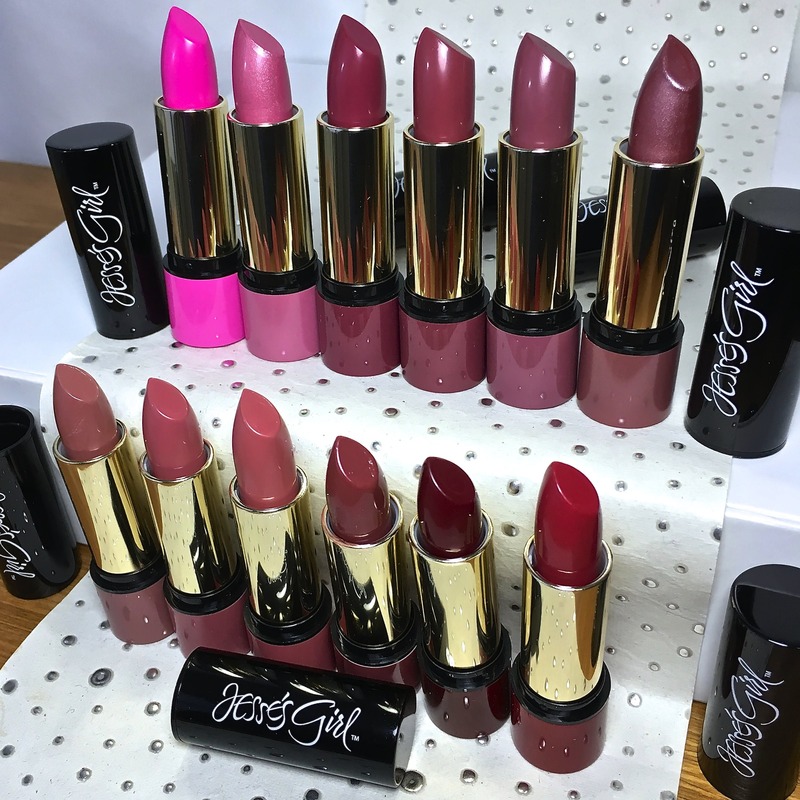 In addition to the six new GlowStix shades, Jesse's Girl Cosmetics has also reintroduced their Signature Style Lipsticks in 12 new shades, also in newly designed packaging. These shades come in a range of sheer, shiny, and semi-matte, so there is bound to be something to catch your attention! I've done my best to swatch similar colours close together, although as the saying goes, the devil is in the details! Some colours may look similar, but one may have more of a shiny finish while the other more matte. I also found some of be a sheer pop of colour while others have a very similar colour that is more opaque. Check out the swatches and the descriptions of each of the shades, including notes on finish and intensity, below! I am completely in lust with these lipsticks! From ultra-smooth application to just feeling so comfortable on my lips, I have found myself constantly grabbing one of these beauties over other brands in my lipstick collection. I really like that I can easily choose between a sheer or pigmented formula of similar shades, and the colour selections are gorgeous! These lipsticks retail for only $4.99 each, so you won't feel the slightest bit of guilt treating yourself with several, if not ALL, of them! Jesse's Girl Cosmetics can be purchased at your local Rite Aid store and at www.JessesGirlCosmetics.com. If you are ordering online, US orders over $20 ship for FREE, so that's just one more way to save a little bit of cash on your beauty products! I have been really loving the GlowStix and Signature Style Lipsticks since they arrived at my door, and I hope you enjoy them as much as I have! What colours are catching your attention? I'd love to hear what shades in particular appeal to you! Also, let me know what you're doing for fun this weekend! I always love to hear what YOU like to do for fun! What beautiful pictures. I need to see if I can find Yesenia since that's right up my alley. I wish the Glow Sticks were a bit more pigmented, but as they are they also make great layering products over other lipsticks! I like the lip glosses on top of the lips! Kinda sheer alone! 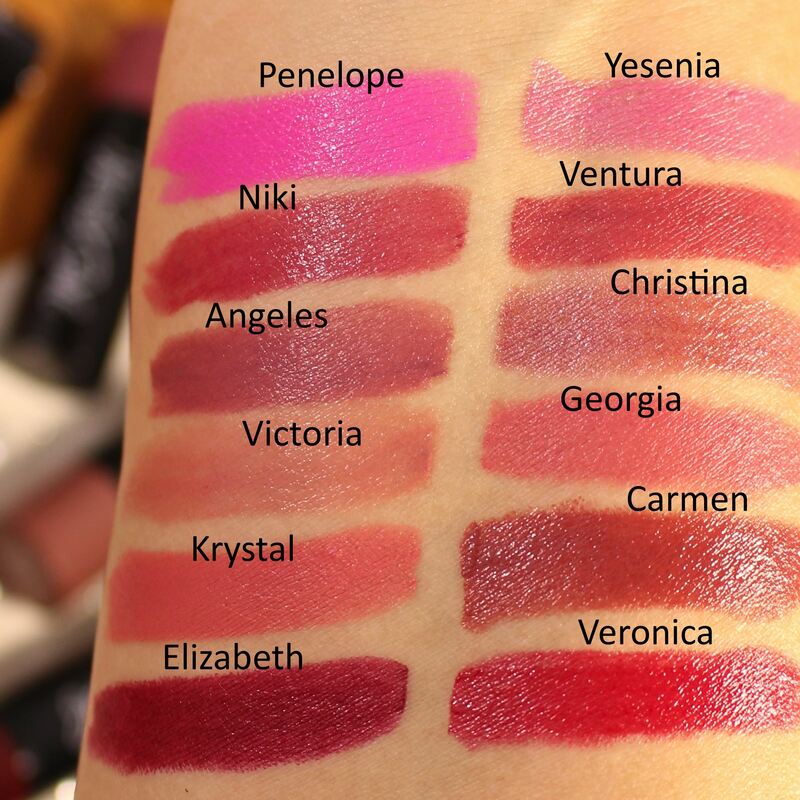 The glosses look so fun and there are so many shades of the lipstick I like, I'll have to hunt these down. I posted about the GlowStix this week too. They’re so pretty and a lot of fun with subtle effects. I’ve gotta photograph the lipsticks soon. Your swatches look gorgeous! I’ve gotta start wearing them! I kinda want to try Cassiopeia or Pandora just to see what they would look like on my lips. I am so intrigued by the GlowStix, but I'm not sure I would ever actually wear them! I’m going to put a glow stick on tomorrow over a darker color. I can’t wait to see how it looks. 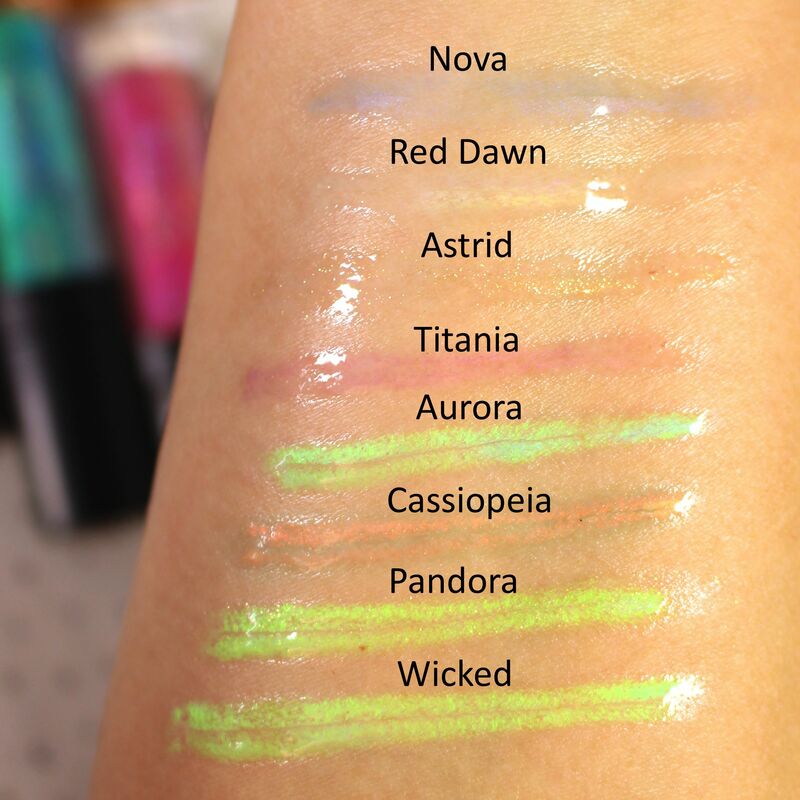 I need to see if I can pick up some of the glosses, they look soo cool! There are so many combos to be made! I need these glosses. NEED.